KING'S VIEW ASSEMBLY is a spirit filled, community minded Christian church with the Assemblies of God. We desire to know God and to make Him known through services, outreaches, and as much involvement in the community as we can get! It is our belief that the more you know about the truth behind the life of Jesus, the fuller your life will be. For Sunday mornings, the atmosphere is "come as you are" casual. Our time of worship is accompanied by contemporary music and a passion for the presence of God. Each week's topic is different, but you'll always hear an encouraging message about the God the changes lives. Join us for our 9AM, 10:45AM and 6PM (No 6PM on the first Sunday of the month). Welcome Home! BRIEF HISTORY OF KING'S VIEW! 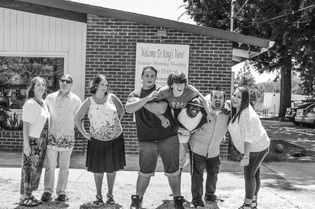 King's View was started in 1955 as a home missions church with the goal of reaching out to the community of Amador county and still carries that legacy today. The church is growing and alive with passion to see the lost come to know Jesus Christ as Lord and Savior! Pastor Dan Epperson came on as senior Pastor in May of 2002 and immediately got to work, sowing seeds of God's love in the community. Since 2002, the body of believers has continued to grow. We are ready for the exciting things to come!